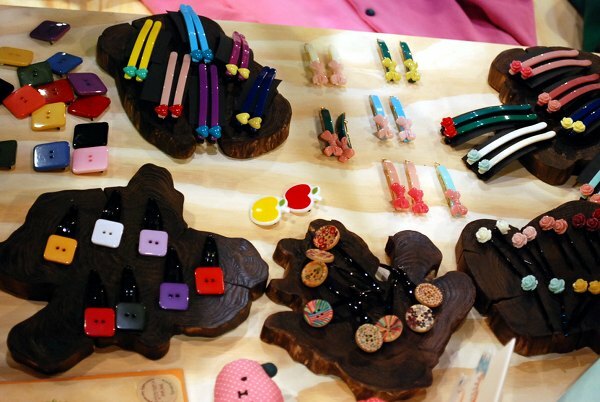 Kids Instyle Sydney – the best of the rest! 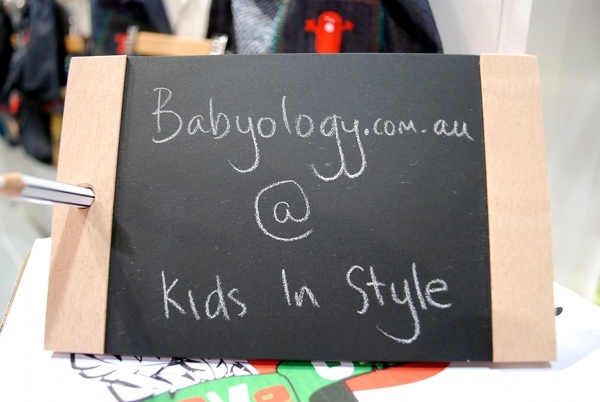 There was an immense amount to see at Kids Instyle Sydney – we’ve given you many of the brands, as well as categorised roundups and now here’s the best of the rest as we like to call it! Having been passionate about photography and cameras for the best part of twenty years and having witnessed the apparent deaths of my beloved 35mm format as well as Polaroid, it has been an utter delight to see a return to older formats. 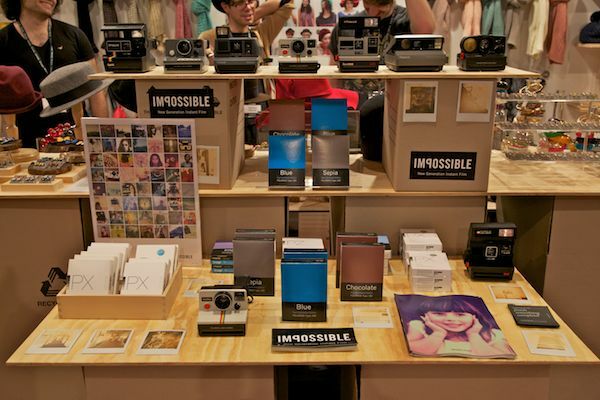 I’m all for preserving these tried and true methods and it’s great to see the fervent protectiveness surrounding Polaroid in particular. Pigeonhole is at the forefront of this movement in Australia, showing a range of retro cameras and inspiring new generations to experience the instant gratification of having that magic print in your hand seconds after taking the image. It stocks the new film too, which is the critical part – many of us have the cameras but not the film! It doesn’t come cheap but I’m tempted to dig out my old cameras from the attic and give the new film a go. It’s probably something best to do with older kids as I can see my toddler running off the whole pack in about twenty seconds flat! 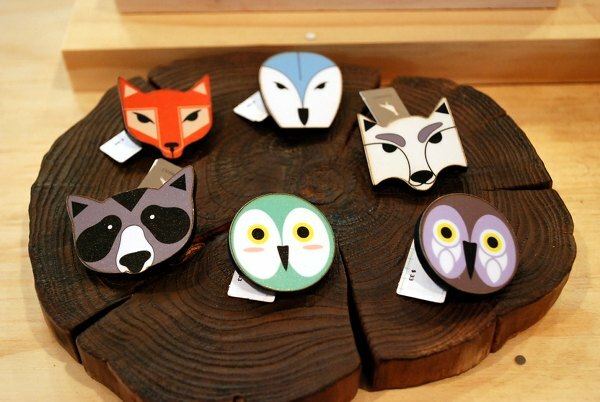 We were also enchanted with Pigeonhole’s range of woodland creature brooches and accessories. 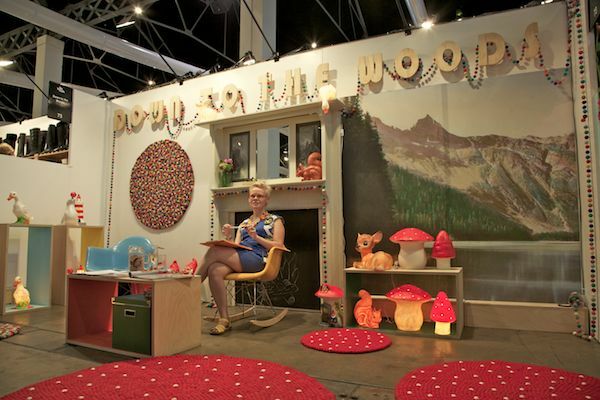 We just love Down to the Woods! 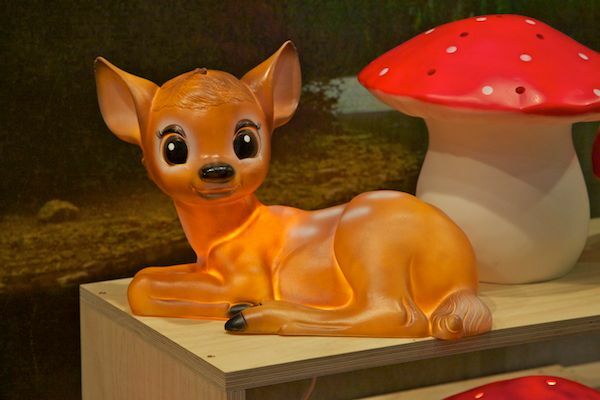 The stand is deliciously beautiful and there’s a new Bambi lamp freshly arrived. 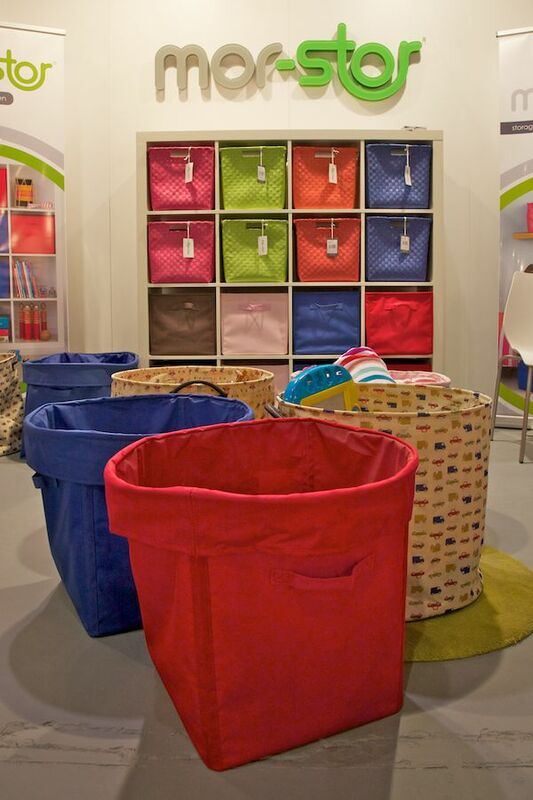 Mor-Stor showed off its impeccable storage range in a stand with fresh, clean design and appealing colours. 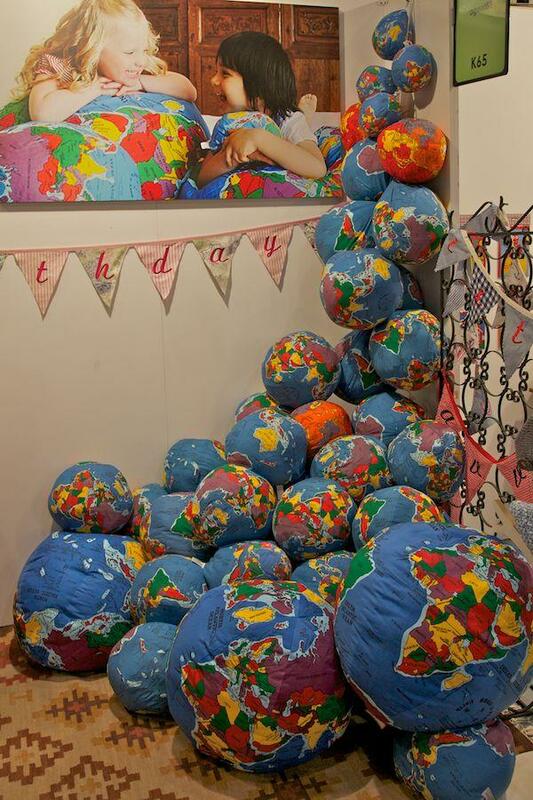 I happen to think these Hugg-a-Planet globes are the best thing since sliced bread. We have a beautiful globe whose stand was broken by my toddler and the globe itself is now dented from being thrown around by little boys. We still use it but I think investing in a plush version is a far more sensible option if there are little people around who like to deconstruct things. The Hugg-a-Planets have a little pocket where a little moon is stored! 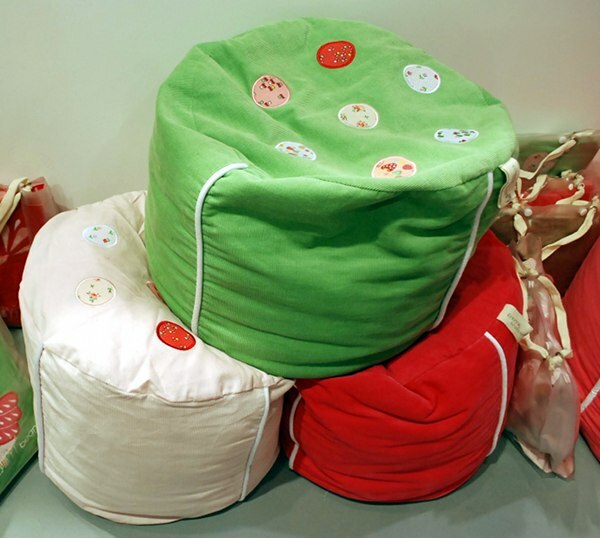 Cocoon Couture debuted some fab little ottomans for kids to coordinate with the popular beanbag range. 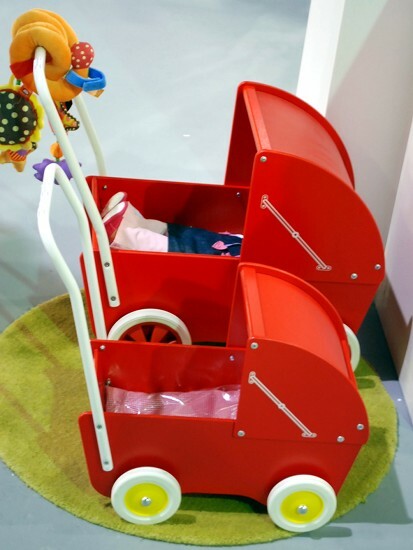 These little Micki prams were to die for! 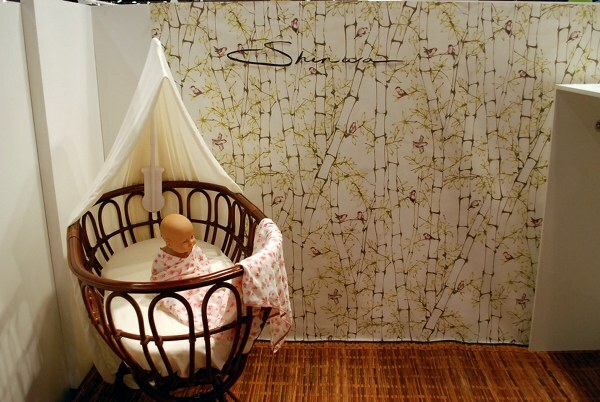 Shinwa Organics makes beautiful organic bamboo wraps for babies that are so exquisitely beautiful. 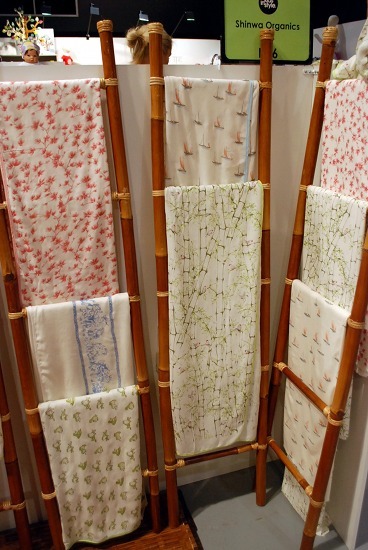 The designs are hand-painted and then hand-printed onto the fabrics. 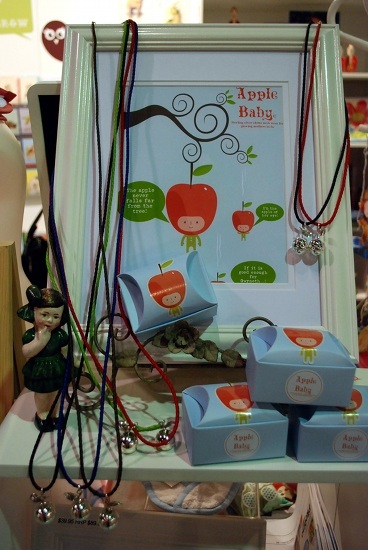 We fell in love with the wonderful necklace chimes from Apple Baby. The idea is that the pregnant mother wears it and the chime sound inside the apple gently passes through to the growing baby in utero. What a lovely thing to have! Shorter necklaces are also available for after pregnancy so it sits higher up. 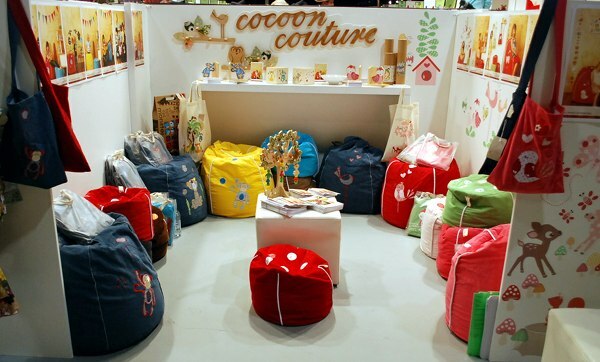 We’ve nearly concluded our coverage of Life Instyle Sydney! Up next and last of all is our fashion roundup.